Just Sayin' | The mind of a competitive gamer and Paper Mario God. Welcome to Ryan (Kappy or Klappy as he’s known) Klaproth’s website! Ryan is a 27-year-old competitive gamer, YouTuber, and Twitch streamer. He’s an ex-Super Smash Bros. player and Pokemon player and is one of the best Paper Mario players (in a challenge running context) in the world. He has a Bachelor’s in Computer Games Development (focusing on programming) from DePaul University and while not actively developing games or programming, would like to again in the future. He likes to dance, read, solve puzzles, play D&D, and spend time with his wife, Jenny, and his puppy, Olive. Ryan uploads videos every weekday on YouTube and sometimes on Saturdays, and streams on Twitch three times a week on Tuesday, Thursday, and Sunday! Check out the YouTube and Twitch pages for more details. 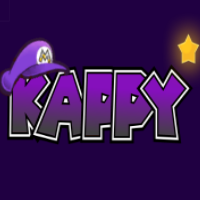 – Kappy’s series on improving in Super Smash Bros. If you go to the blog tab, there should be a subscribe via e-mail button! Kappy you are a great man and my favorite person. Keep up the good work my boy! !